Jerome Froese's third regular studio album took more than two years in the making until it was finally released in summer 2012. It features nine compositions, one of them, Inner Canon Of The Yellow Emperor, previously released on the Preventive Medicine EP. Another track, Crystal Red was performed live by Loom in 2011 and released on the live album Scored. On two tracks, Novembernauts and the before-mentioned Crystal Red, Jerome Froese is supported by former TD member Johannes Schmoelling, who plays some of his characteristic overdrive and analog style melodies and effects on his Jupiter 8. 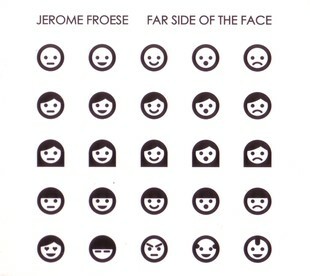 The Moonpop web site about the CD release: "Far Side Of The Face is a mixture of conciliative and optimistic tunes combined with Jerome's signature sound of guitar sequencing, pumping beats, FX gimmickry and atmospheric layers, making his music to be one of a kind. On Far Side Of The Face you'll find longing, devotion and self-discovery as part of an intimate journey." The album was released in a digipack without any additional booklet.